Materials Safety Signs can be made in. 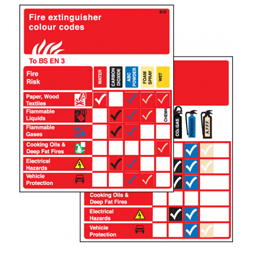 Safety signs are often essential in any workplace, but knowing which safety signs you need is one thing, knowing what material you need is a whole other. Here at The Sign Maker we thought we would help make the later that bit easier by explaining all the materials you can have, and what they are best suited for. Often with materials it is the environment they would be in that would effect the choice of material. Rigid plastic comes in an opaque gloss white colour. This material has a high impact strength, is suitable for both internal and external use and is easily drilled for wall fixings. Further details include; 950 micron thick with LIV stabilisation. Self-adhesive vinyl is a high gloss, flexible PVC vinyl with a self adhesive backing for fixing. It is suitanle for applying to most smooth, dry clean surfaces, but it is improtant to ensure these surfaces are very clean tos top marks shwoing through the vinyl. This material s ideal for internal signs. Futher details include; 80 micron thick, outdoor durability approximately 2 years. The rigid plastic is made out of a 1.2mm thick white reflective PVC sheet with photoluminescent (glow in the dark) pigmentation. Afterglow properties exceed PSPA class C grade as measdured to DIN 67510, provides razor sharp defintiion even in blackout conditions. Further details include; indoor durability in excess of 5 years, outdoor durability is excellent but can reduce in strong sunlight. Flexible laminated white reflective PVC vinyl with photoluminescent (glow in the dark) pigmentation. Afterglow properties exceed PSPA class C grade as measdured to DIN 67510, provides razor sharp defintiion even in blackout conditions. Further details include; indoor durability in excess of 5 years, outdoor durability is excellent but can reduce in strong sunlight. Aluminium is a very smart, durabale and versitale material. It is lightweight, exceptionally rigid and does not corrode, and added benefit is that it is also environmentally friendly. This specific aluminium is 0.9mm thick with a gloss white pwder coated face. It is suitable for both internal and external applications. Excellent weathering nd UV resistance provides a long-life product. Brass is a fantastc material that is suitable for both internal and external applications with excellent weathering and UV resistance making it a long lasting material. This particular brass comes in a 0.9mm thick with a gloss white powder coated face. As already mentioned, rigid PVC comes in an opaque gloss white colour and is high impact strength and is resistant to weathering making it perfect for both internal and external use. However this particular product has the added benefit that it has a self-adhesive backing which removes the need for drilling, screwing or additional adhesive fixings. 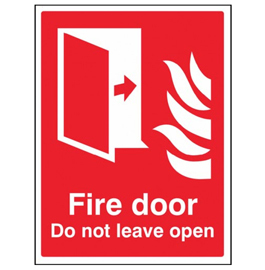 These signs can also be referred to as Quick-Fit signs. There are thousands of different Site Safety Signs - Click here to see them all, along with the prices and materials. Made in the UK. Our team at The Sign Maker looks forward to helping you with your mandatory signs.